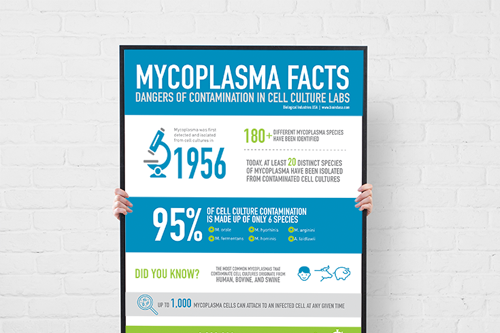 Mycoplasma are one of the most common and elusive contaminants of mammalian cell cultures. As the smallest known free-living organism, mycoplasma are a pervasive, parasitic species of highly infectious bacteria that are resistant to most antibiotics, including the most commonly used penicillin and streptomycin. They are estimated to contaminate between 15–35% of all continuous cell cultures worldwide, and while over 180 species have been identified since mycoplasma was first isolated in 1956, only six species are responsible for 95% of all infections in cell cultures. 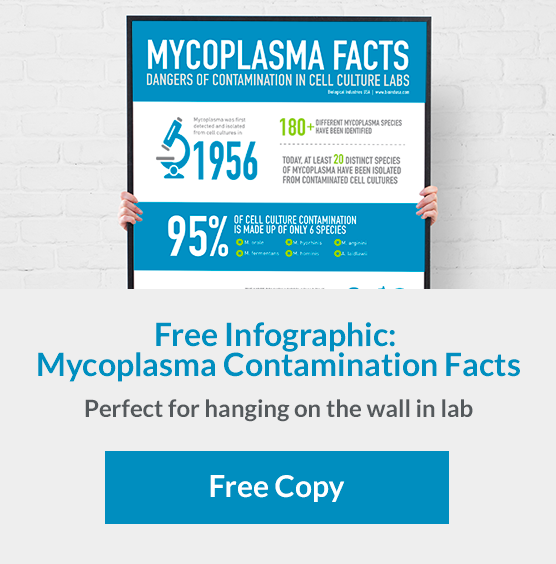 How does mycoplasma contamination impact cultures? Mycoplasma grow slowly compared to other bacteria and do not kill mammalian cells outright; instead, they use their subtle morphology to progressively cause increasingly adverse effects on cellular functions. Mycoplasma is more common than one could imagine. 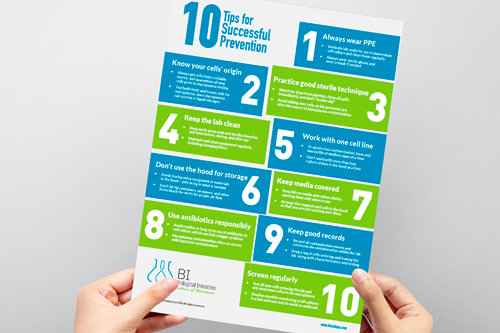 Many cell culture labs around the world dismiss mycoplasma testing simply because these microorganisms remain undetected due to their small size and failure to cause noticeable changes in pH or turbidity of cultures. Why is routine mycoplasma testing important? Routine testing for mycoplasma is an important quality control. 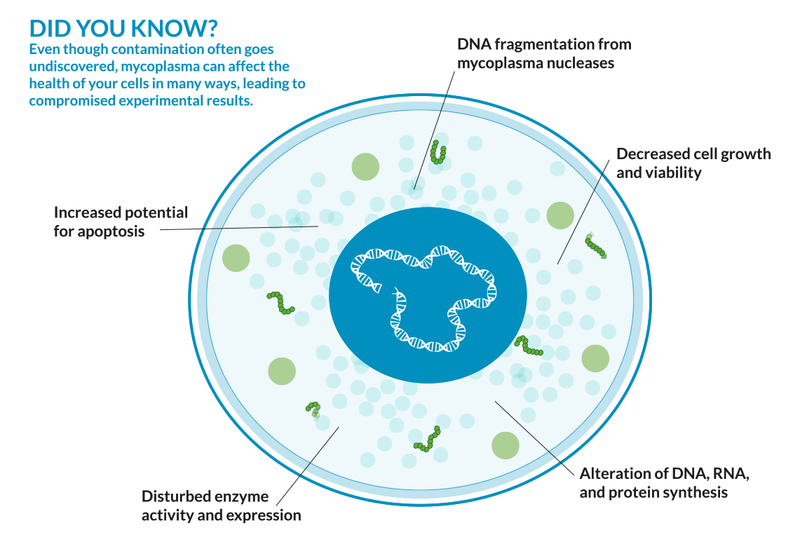 Regulatory guidance requires that all products derived from mammalian cell culture be tested for the presence of mycoplasma, and many high-impact scientific journals now require that cell lines are verified to be mycoplasma-free. 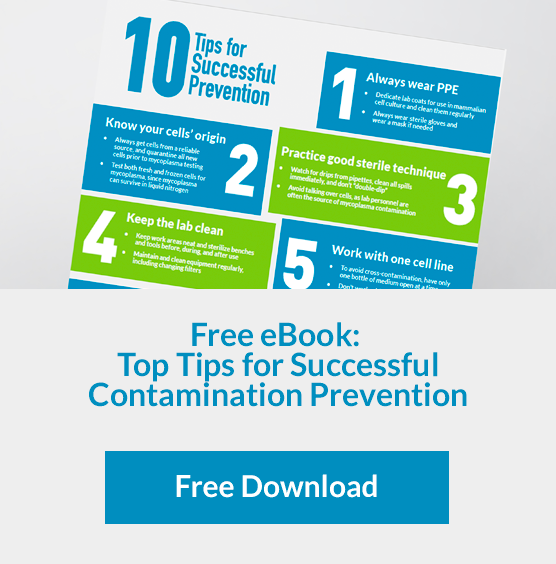 To avoid undesired experimental results or regulatory issues, it is recommended that continuous cell cultures are tested minimally every 2 weeks to 3 months since it is much easier to treat minimal amounts of contamination before it overpowers all cultures. 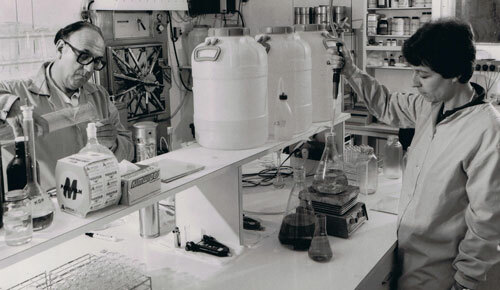 This is especially important in shared lab spaces or incubators where sterile lab techniques cannot be guaranteed across all lab technicians and scientists. How do you detect and treat mycoplasma? 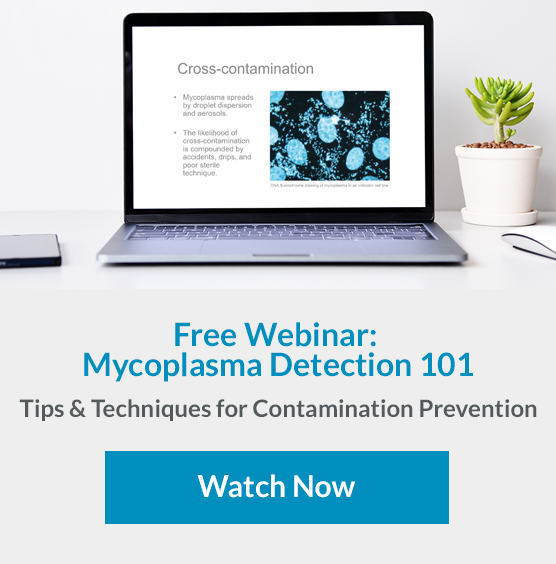 While there are several methods for the detection of mycoplasma, polymerase chain reaction (PCR) has been shown to allow for high detection sensitivity in a rapid and easy-to-use manner. Other methods such as immunofluorescence may be simple and sensitive, however, these tests are sometimes subjective and require the use of a fluorescence microscope. 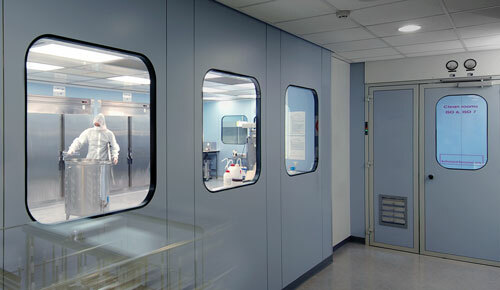 The microbiological agar culture method also provides high sensitivity, but it requires an extended incubation time and is also sometimes subjective. 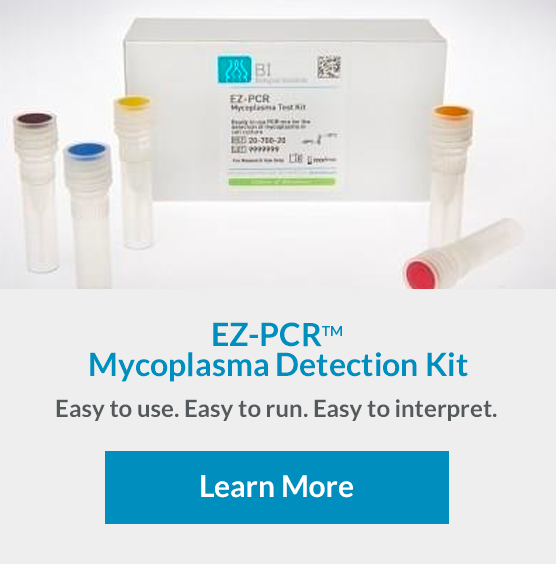 The EZ-PCR™ Mycoplasma Detection Kit has been shown to be a fast and efficient option with high sensitivity and specificity. Direct DNA stain Low Requires use of a fluorescence microscope with correct filter. Can be difficult to interpret. Indirect DNA stain Moderate Indirect and time-consuming. Easy to interpret. Immunofluorescence; monoclonal antibody High Easy to perform. Requires use of a fluorescence microscope with correct filter. Agar culture High Sensitive test. Slow and may require expert interpretation. ELISA Moderate Fast, but limited range of species detected. PCR Moderate to High Rapid, clear results. Requires PCR equipment. If one of the above detection assays produces positive results for mycoplasma, it is manageable to treat the contamination especially before the infection creeps into all cultures within the lab. It is therefore also critical to know the precise source of contamination, which may translate to performing multiple tests with the chosen assay to determine how many cultures have become infected. Once the origin has been found, there are specific antibiotics that mycoplasma have not yet become resistant to, including those within the Tetracycline and Quinolone families. BI's BIOMYC™ Antibiotic Solutions are a quick and easy reagent that will eliminate contamination in no time.